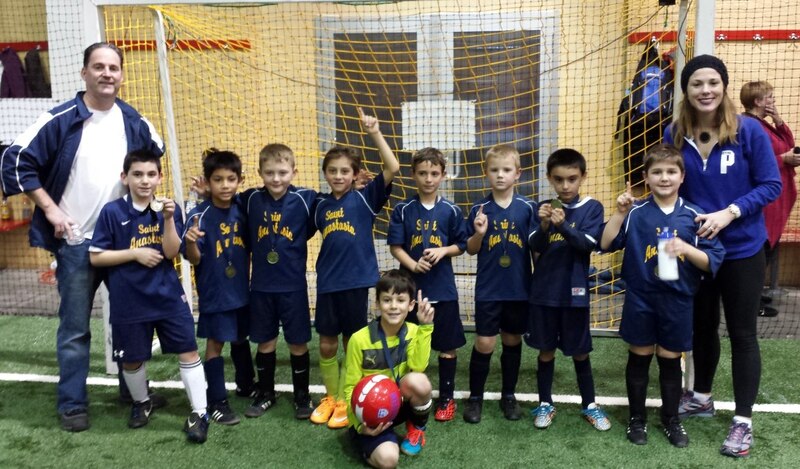 On January 10, 2015, Our Lady of Grace held the Squirt’s Division 2nd Annual Indoor Soccer tournament at Aviator Sports Complex in Brooklyn. Several parishes throughout the diocese participated in the event. St. Anastasia’s second grade boys won the gold medal against very tough competition. Their soccer skills and sportsmanship throughout the event were commendable! Congratulations boys! Second grade team with Head Coach Michael Conlon and Assistant Coach Cathleen Conlon.